Join us on January 25 for the Washington, D.C. Lawyers Chapter Luncheon featuring Hon. 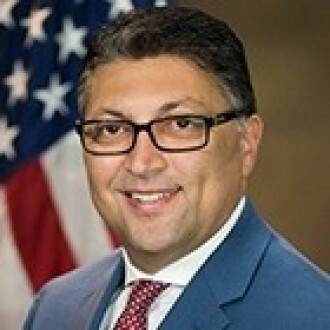 Makan Delrahim, Assistant Attorny General, Antitrust Division, U.S. Department of Justice. The cost for this lunch is $15.00 for members and $20.00 for non-members. Space is limited, so please register to secure a seat. You can register online and pay at the door. Online registration for this event has ended; we will be accepting walk-in registrations. Please call 202-822-8138 with any questions. If interested in purchasing a table, please call Juli Nix at 202-810-8652 or email at juli.nix@fedsoc.org.